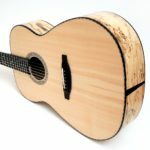 Full sound from day one. 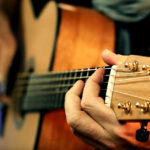 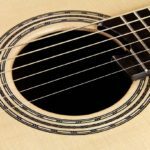 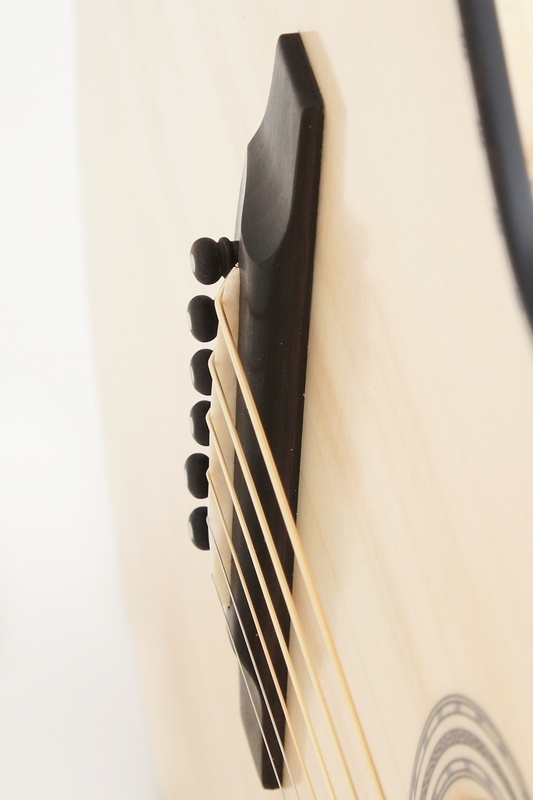 While many guitars need a certain time to develop their good sound characteristics, Ambition performs with 100% efficiency from the very beginning. 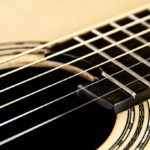 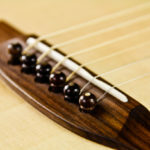 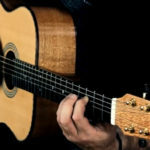 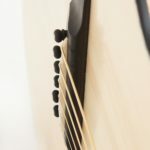 Lightweight, balanced, comfortable neck shaping and optimised string action provide an unforgettable playing experience. 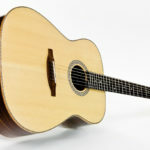 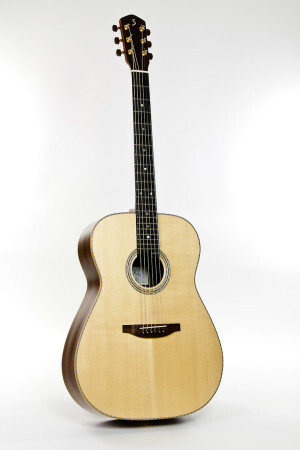 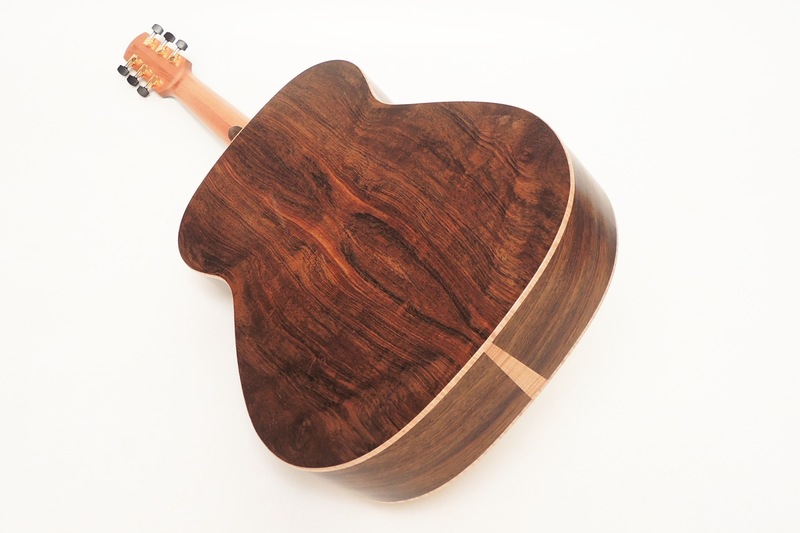 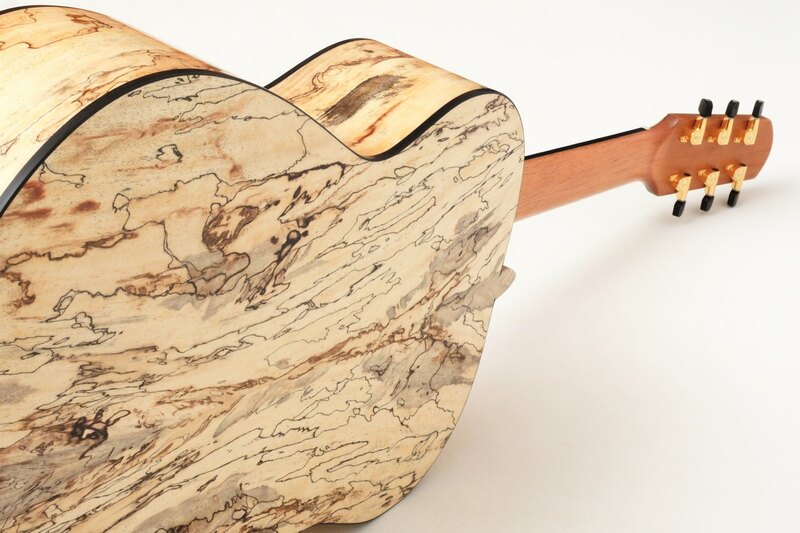 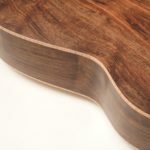 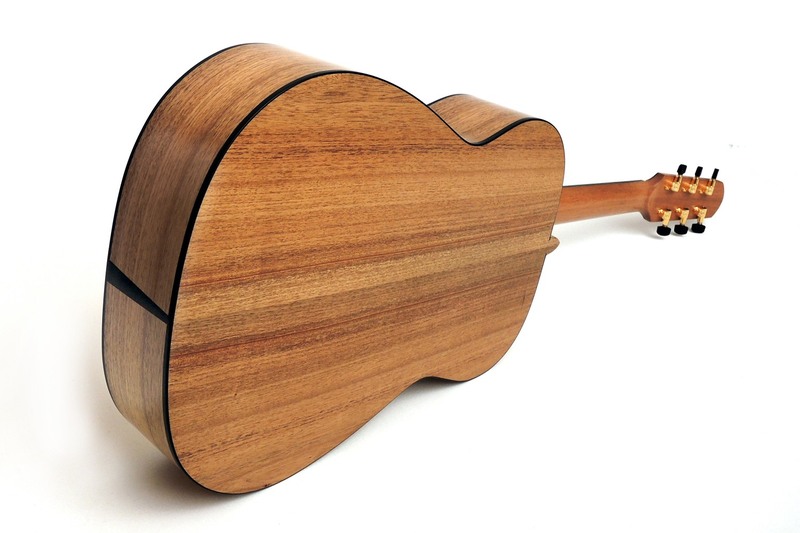 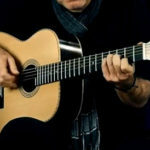 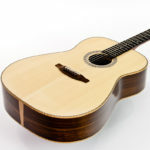 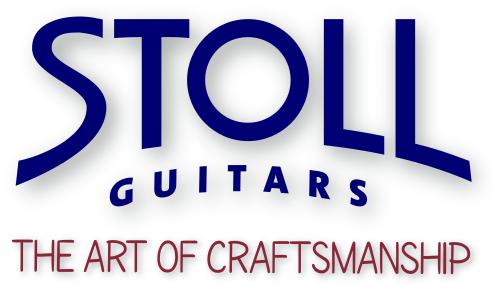 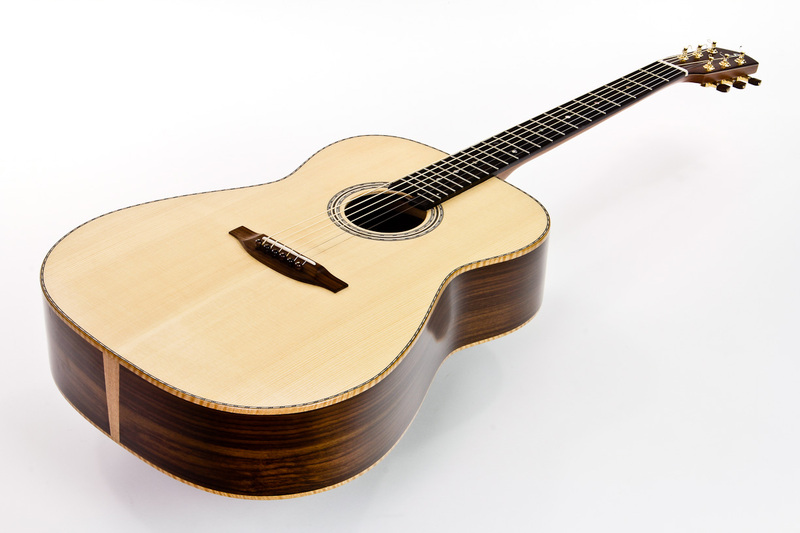 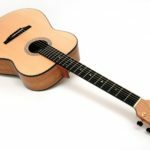 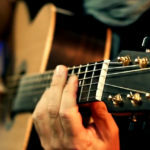 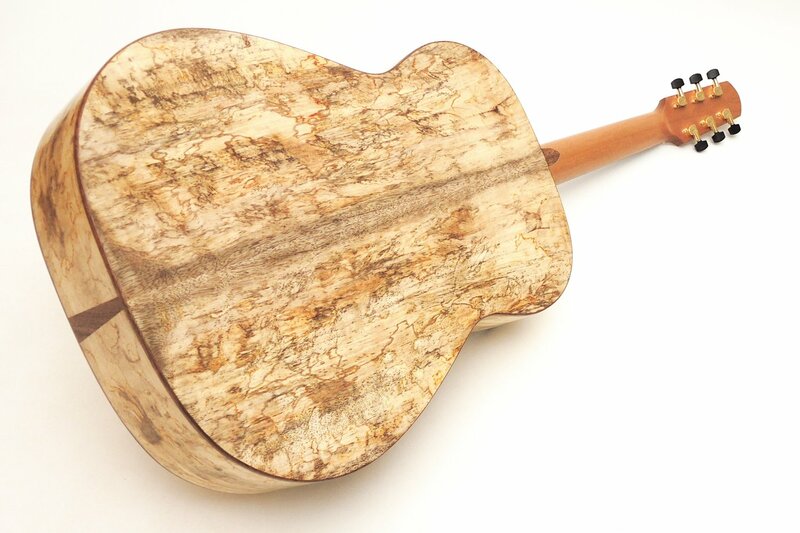 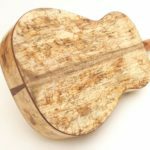 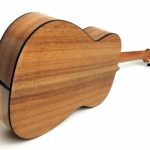 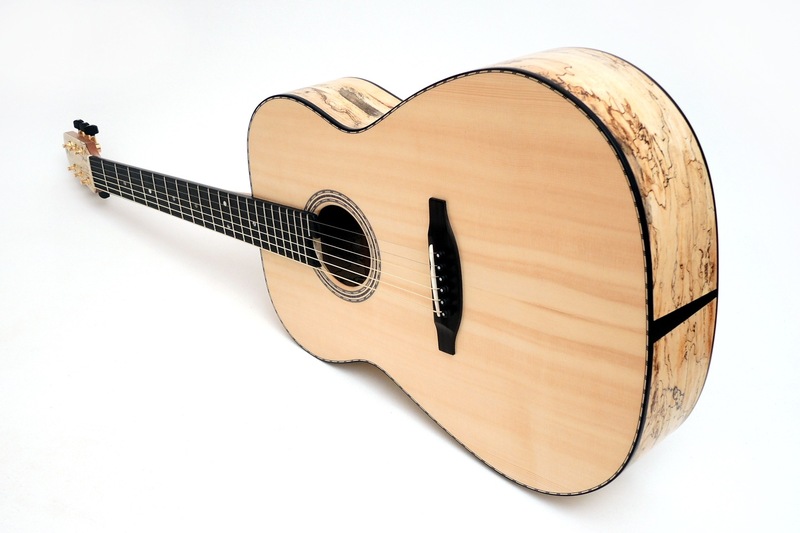 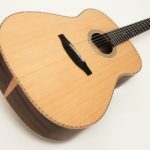 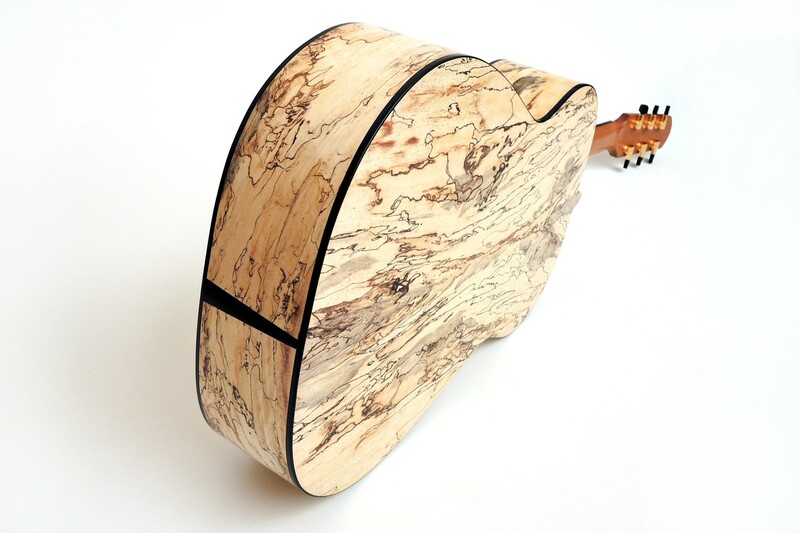 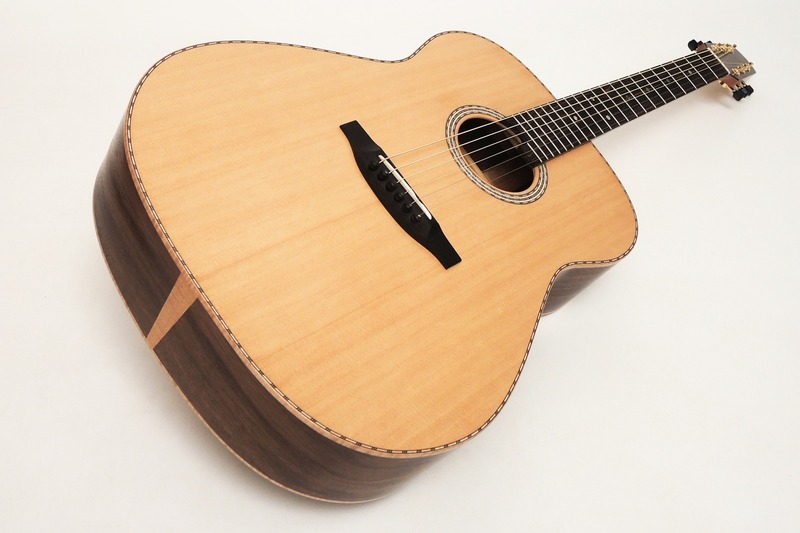 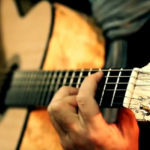 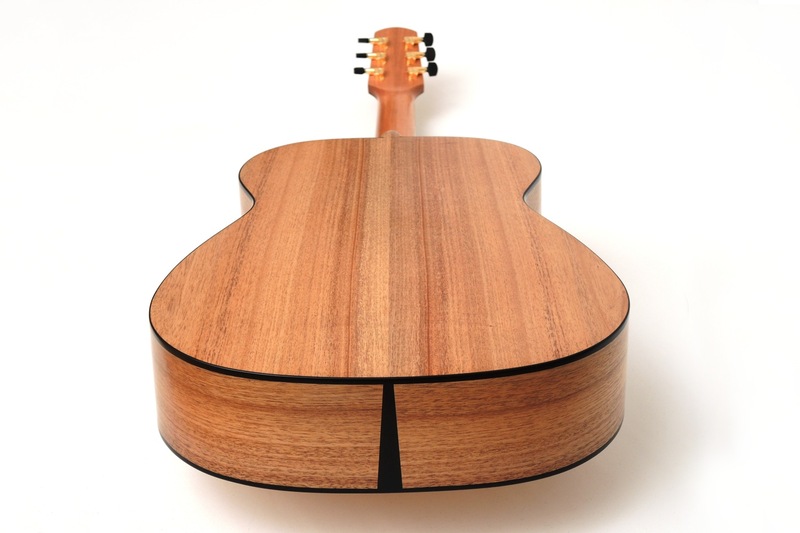 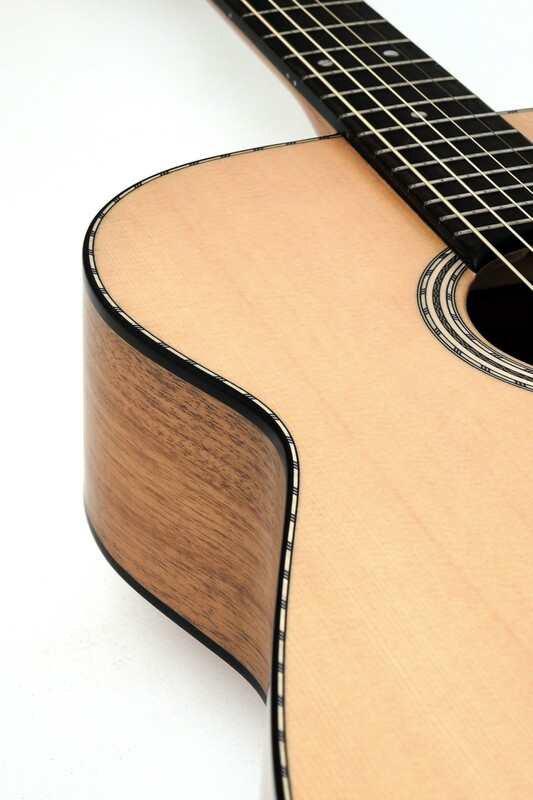 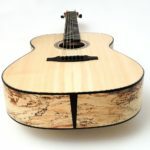 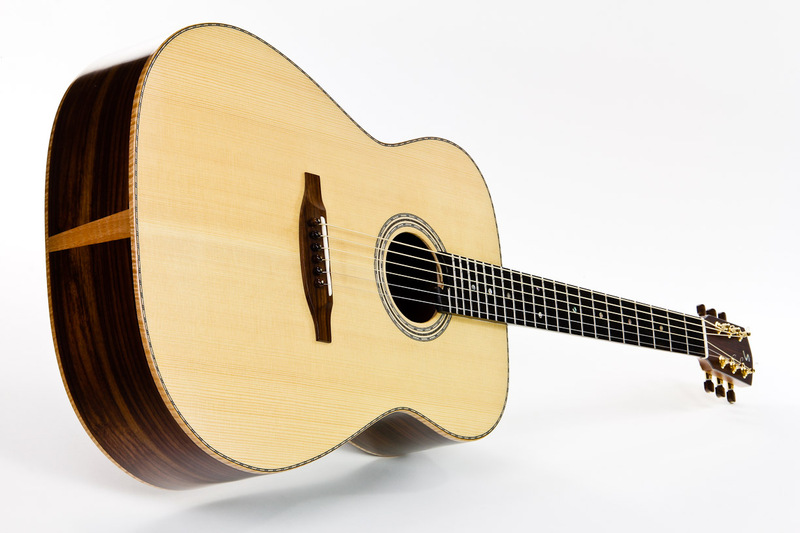 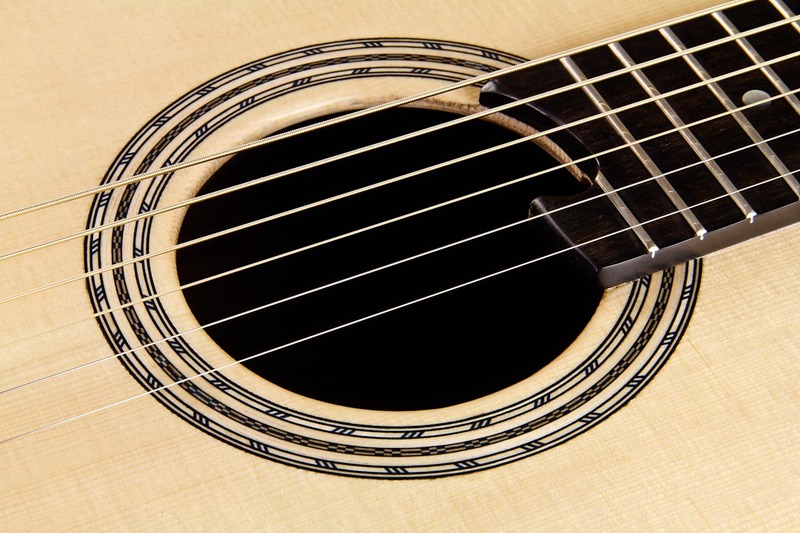 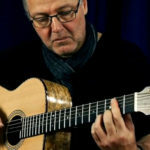 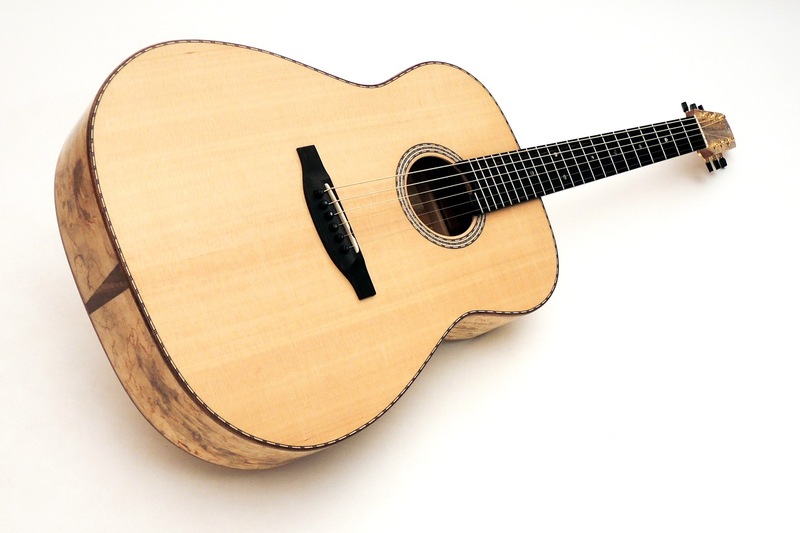 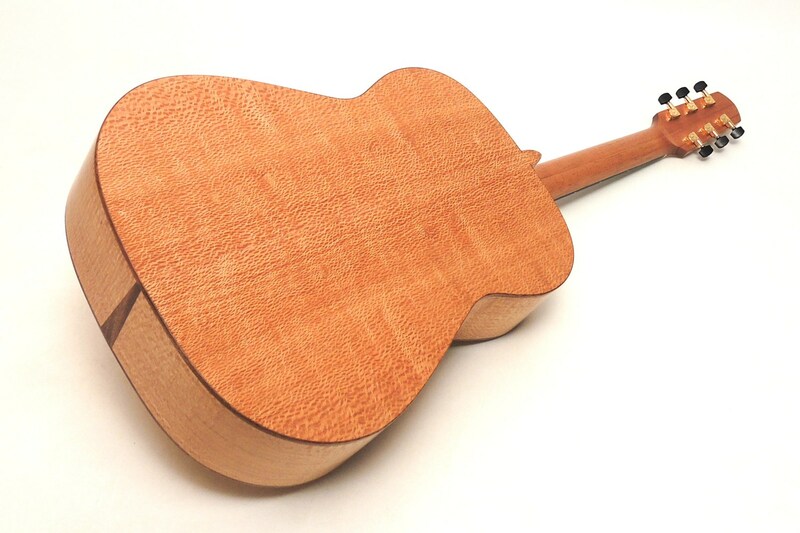 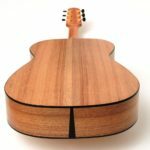 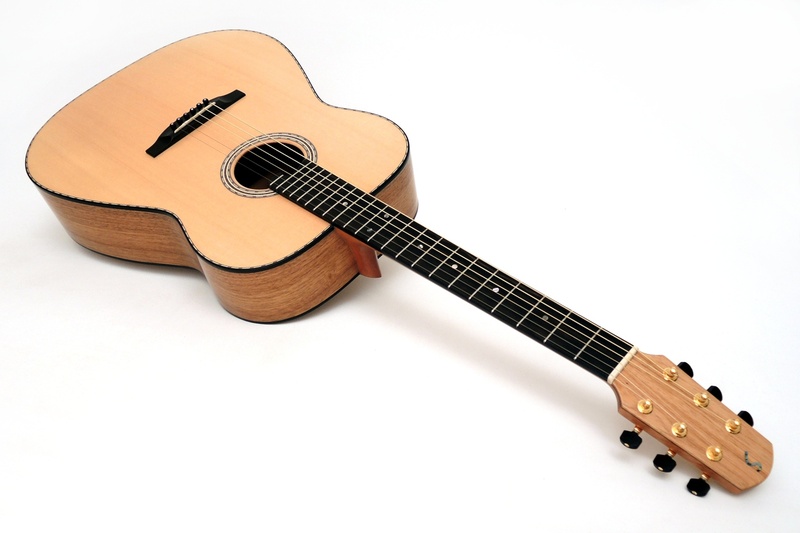 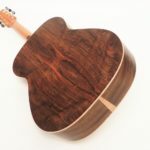 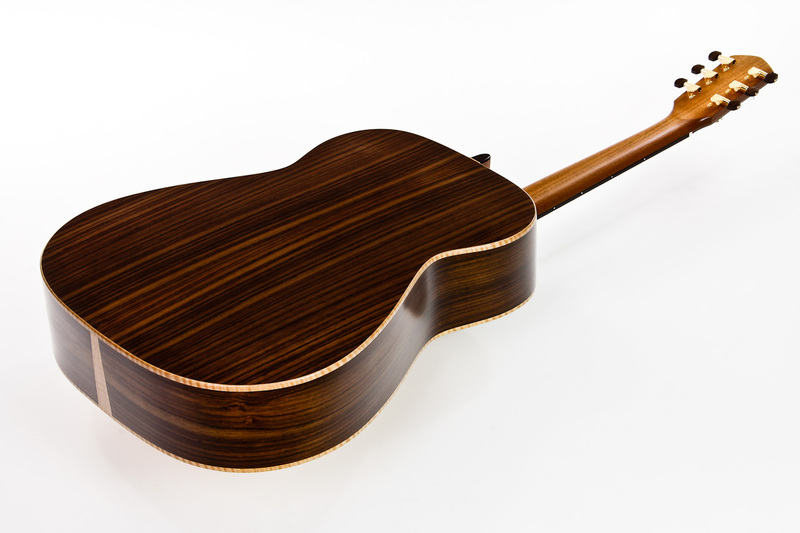 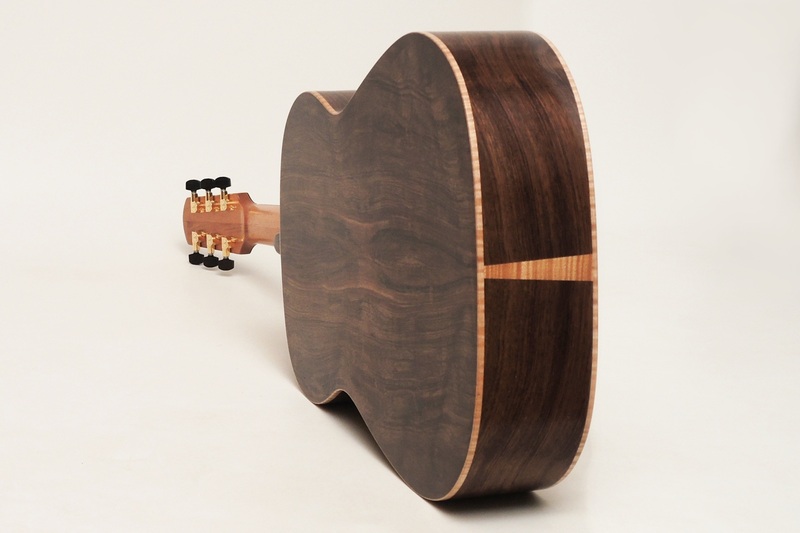 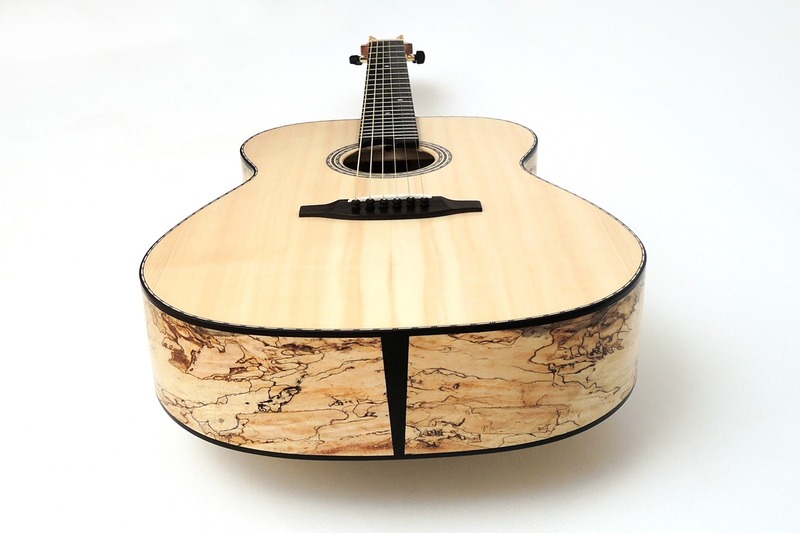 The concept behind this exceptional talent is based on features that originate from classical guitar construction. 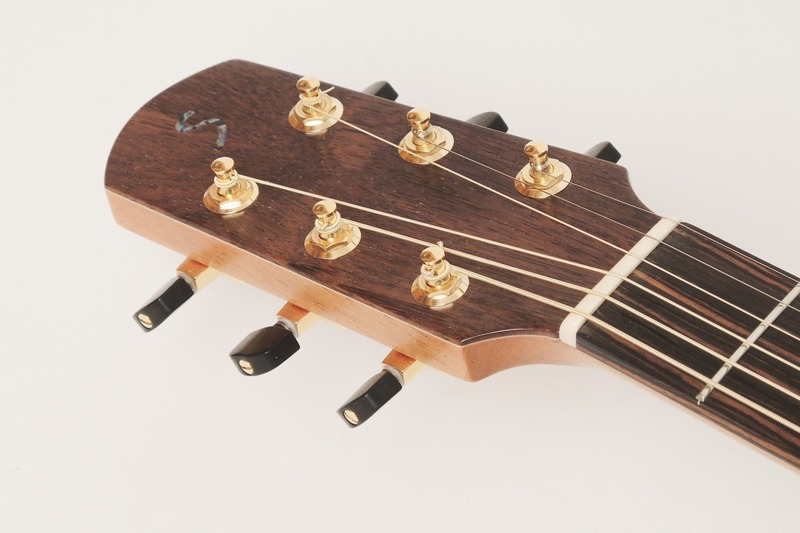 A finely worked top, which is domed for stabilisation and adequately braced, makes for highly resonant vibration and quick response. 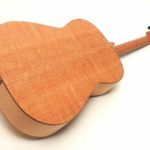 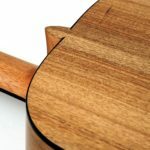 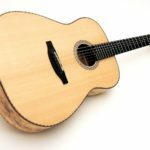  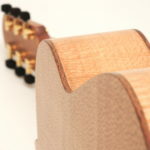 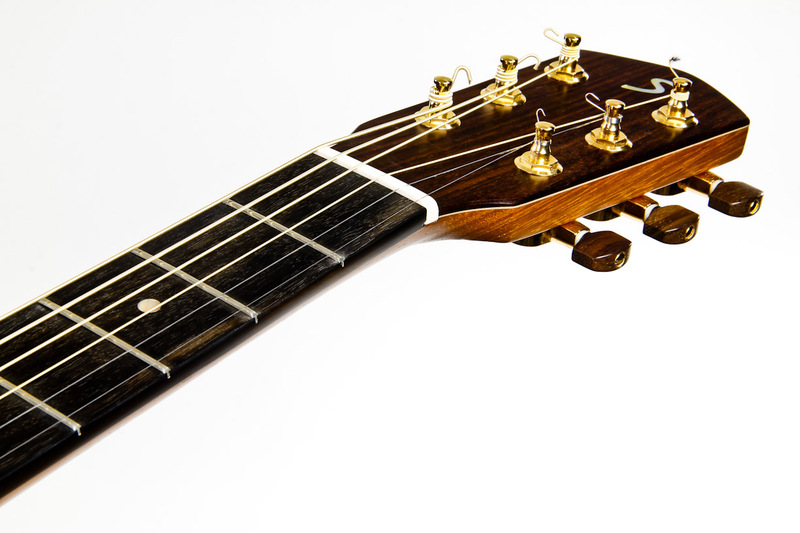 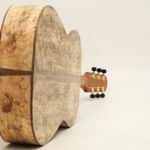 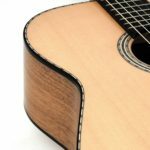 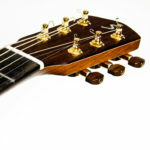 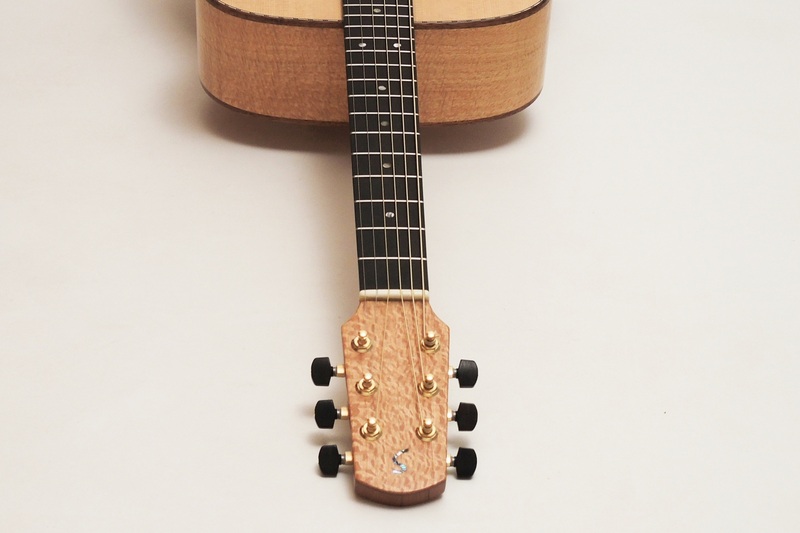 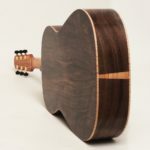 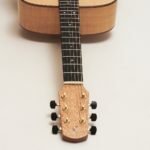 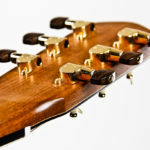 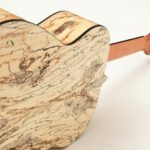 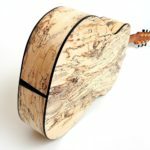 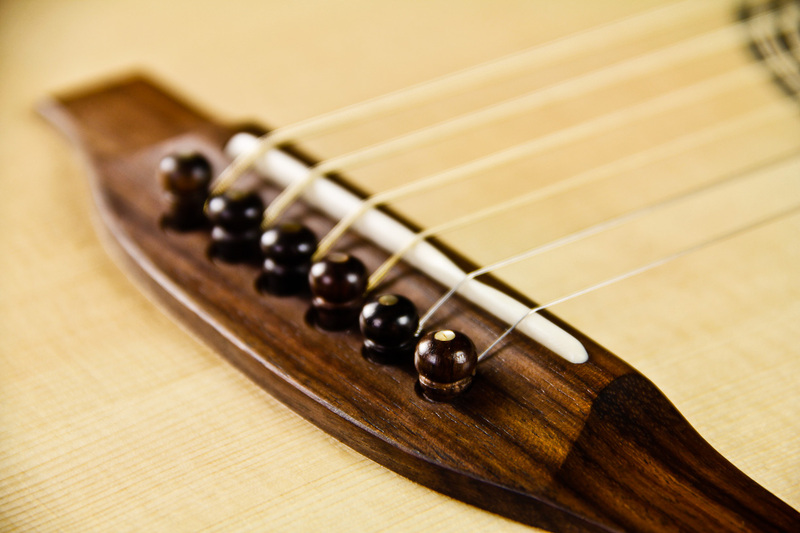 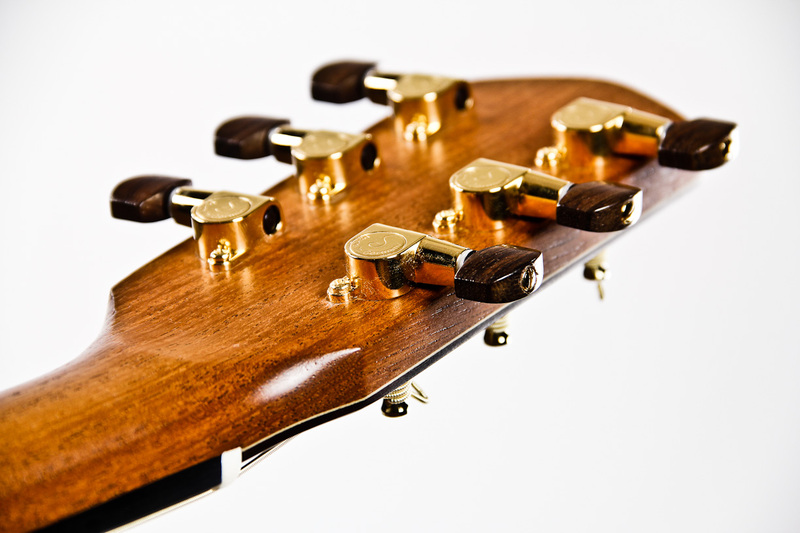 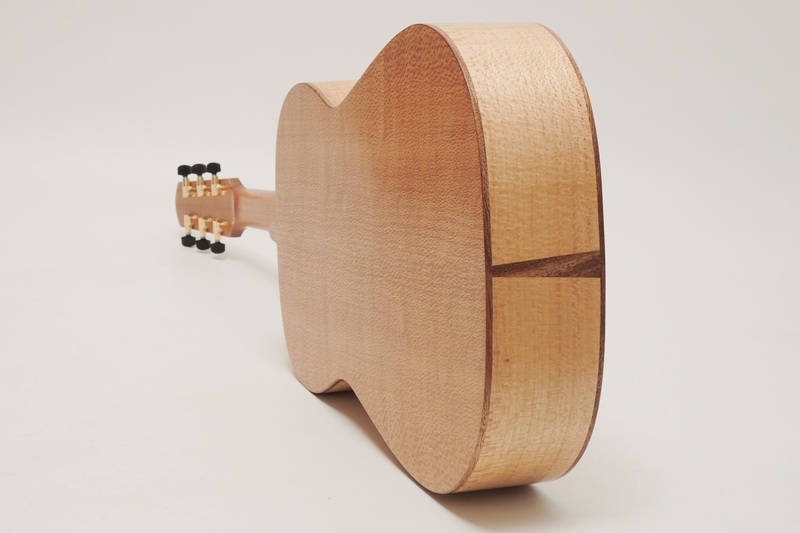 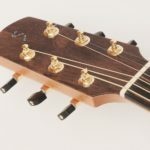 The Spanish neck, the best and most elaborate neck joint, ensures unimpeded vibration flow so that not even the smallest bit of sound is lost. 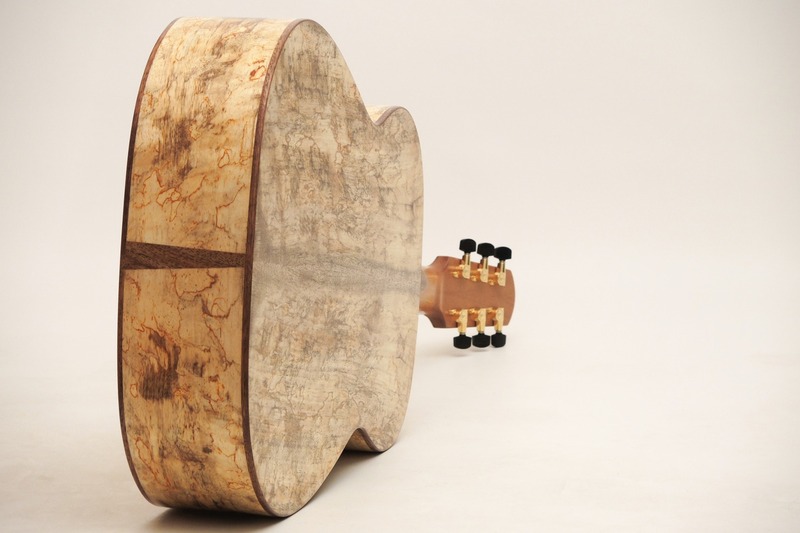 The result is a very open sound that reacts sensitively to dynamic playing. 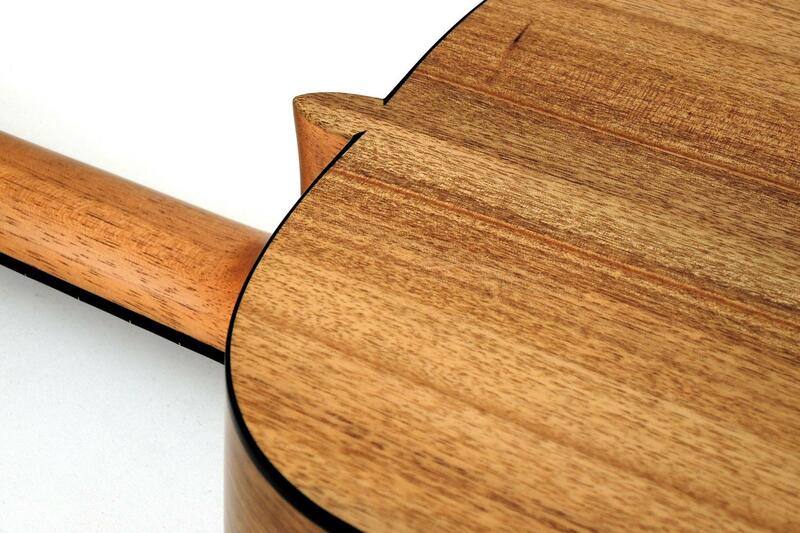 Even the finest nuances are being transmitted perfectly. 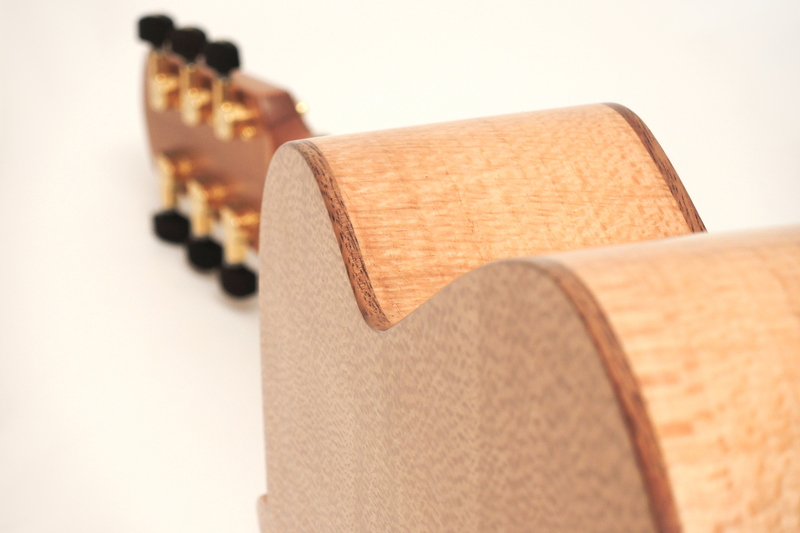 Ambition is usually built with a neck width of 46 mm, which can be varied as desired without any extra charge. 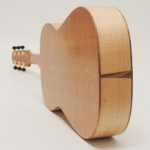 There are different types of Spruce and Cedar available for the top as well as a great variety of woods for back and sides. 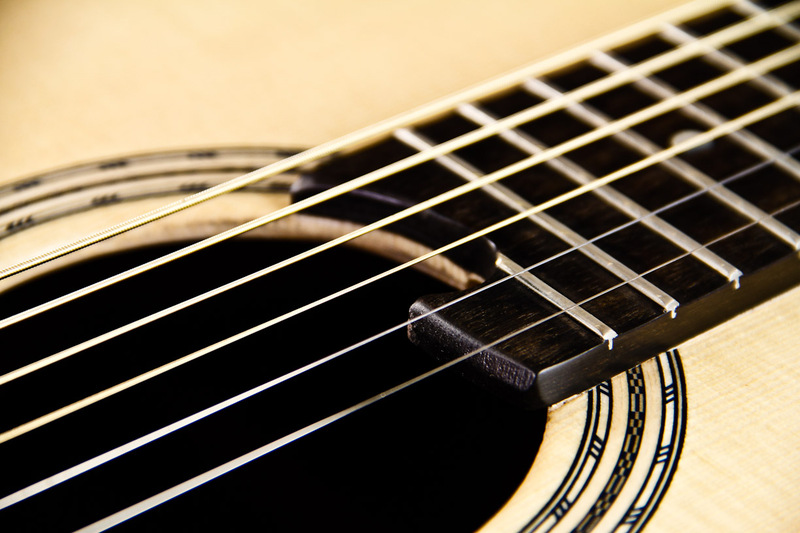 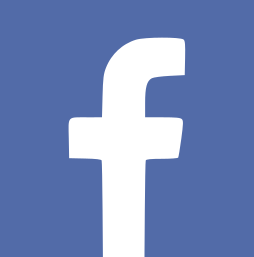 Due to the chosen material sound can be adjusted to personal preferences. 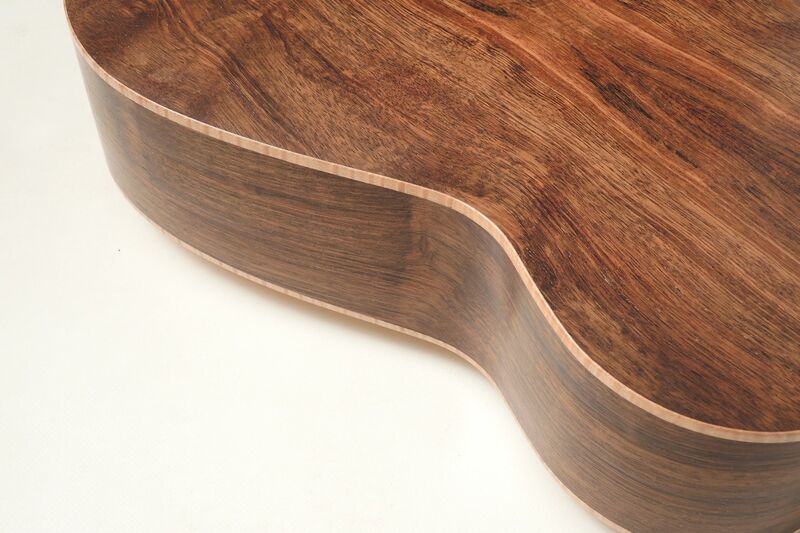 We favour Rosewood, Indian Silver Oak, Indian Walnut, spalted Mango, Tamarind or Moa.